Wonder Wings Soft Comfort Sanitary Napkin gives you a soft cotton-like feeling and makes you feel at ease all day long. This variant has been specially made for women who are looking for softness and comfort; specifically youngsters who have just entered puberty. It provides a high level of comfort during menstruation. Explore the entire range of Sanitary Napkins available on Nykaa. 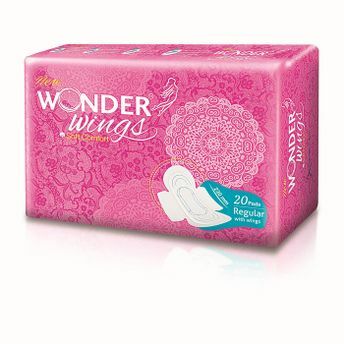 Shop more Wonder Wings products here.You can browse through the complete world of Wonder Wings Sanitary Napkins .